The history of Belarus, or more precisely of the Belarusian ethnicity, begins with the migration and expansion of the Slavic peoples throughout Eastern Europe between the 6th and 8th centuries. East Slavs settled on the territory of present-day Belarus, Russia and Ukraine, assimilating local Baltic (Yotvingians, Dniepr Balts), Ugro-Finnic (in Russia) and steppe nomads (in Ukraine) already living there, their early ethnic integrations contributed to the gradual differentiation of the three East Slavic nations. These East Slavs, a pagan, animistic, agrarian people, had an economy which included trade in agricultural produce, game, furs, honey, beeswax and amber. 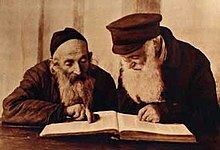 The common cultural bond of Eastern Orthodox Christianity and written Church Slavonic (a literary and liturgical Slavic language developed by 8th century missionaries Saints Cyril and Methodius) fostered the emergence of a new geopolitical entity, Kievan Rus' — a loose-knit multi-ethnic network of principalities , established along preexisting trade routes, with major centers in Novgorod (currently Russia), Polatsk (in Belarus) and Kiev (currently in Ukraine) — which claimed a sometimes precarious preeminence among them. It repeatedly asserted its sovereignty in relation to other centers of Rus', becoming a political capital, the episcopal see of a bishopric and the controller of vassal territories among Balts in the west. The city's Cathedral of the Holy Wisdom (1044–66), though completely rebuilt over the years, remains a symbol of this independent-mindedness, rivaling churches of the same name in Novgorod and Kiev, referring to the original Hagia Sophia in Constantinople (and hence to claims of imperial prestige, authority and sovereignty). Cultural achievements of the Polatsk period include the work of the nun Euphrosyne of Polatsk (1120–1173), who built monasteries, transcribed books, promoted literacy and sponsored art (including local artisan Lazarus Bohsha's famous "Cross of Euphrosyne", a national symbol and treasure stolen during World War II), and the prolific, original Church Slavonic sermons and writings of Bishop Cyril of Turau (1130–1182). In the 13th century, the fragile unity of Kievan Rus' disintegrated due to nomadic incursions from Asia, which climaxed with the Mongol sacking of Kiev (1240), leaving a geopolitical vacuum in the region. The East Slavs splintered into a number of independent and competing principalities. 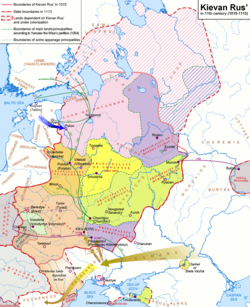 Due to military conquest and dynastic marriages the West Ruthenian (Belarusian) principalities were acquired by the expanding Grand Duchy of Lithuania, beginning with the rule of Lithuanian King Mindaugas (1240–1263). From the 13th to 15th century, Baltic and Slavic lands were consolidated into the Grand Duchy of Lithuania, with its initial capital unknown, but which presumably could have been either Voruta, Kernavė, Trakai or Vilnius. Since the 14th century, Vilnius had been the only official capital of the state. An East Slavic variety (rus'ka mova, Old Belarusian or West Russian Chancellery language), gradually influenced by Polish, was the language of administration in the Grand Duchy of Lithuania at least since Vytautas' reign until the late 17th century when it was eventually replaced by Polish language. The Republic of Central Lithuania was a short-lived political entity, which was the last attempt to restore Lithuania in the historical confederacy state (it was also supposed to create Lithuania Upper and Lithuania Lower). The republic was created in 1920 following the staged rebellion of soldiers of the 1st Lithuanian–Belarusian Division of the Polish Army under Lucjan Żeligowski. 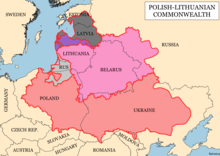 Centered on the historical capital of the Grand Duchy of Lithuania, Vilna (Lithuanian: Vilnius, Polish: Wilno), for 18 months the entity served as a buffer state between Poland, upon which it depended, and Lithuania, which claimed the area. After a variety of delays, a disputed election took place on 8 January 1922, and the territory was annexed to Poland. Żeligowski later in his memoir which was published in London in 1943 condemned the annexation of Republic by Poland, as well as the policy of closing Belarusian schools and general disregard of Marshal Józef Piłsudski's confederation plans by Polish ally. The frontiers between Poland, which had established an independent government after World War I, and the former Russian Empire were not recognized by the League of Nations. Poland's Józef Piłsudski, who envisioned the formation of an Intermarium federation as a Central and East European bloc that would be a bulwark against Germany to the west and Russia to the east, carried out a Kiev Offensive into Ukraine in 1920. This met with a Red Army counter-offensive that drove into Polish territory almost to Warsaw, Minsk itself was re-captured by the Soviet Red Army on 11 July 1920 and a new Byelorussian Soviet Socialist Republic was declared on 31 July 1920. Piłsudski, however, halted the Soviet advance at the Battle of Warsaw and resumed his eastward offensive. 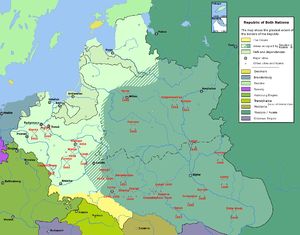 Finally the Treaty of Riga, ending the Polish–Soviet War, divided Belarus between Poland and Soviet Russia. 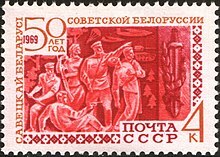 Over the next two years, the Belarus National Republic prepared a national uprising, ceasing the preparations only when the League of Nations recognized the Soviet Union's western borders on 15 March 1923. The Soviets terrorised Western Belarus, the most radical case being Soviet raid on Stołpce. Poland created Border Protection Corps in 1924. When the Soviet Union invaded Poland on September 17 1939, following the terms of the Molotov–Ribbentrop Pact's secret protocol, Western Byelorussia, which was part of Poland, is included in the BSSR. Similarly to the times of German occupation during World War I, Belarusian language and Soviet culture enjoyed relative prosperity in this short period. Already in October 1940, over 75% of schools used the Belarusian language, also in the regions where no Belarus people lived, e.g. around Łomża, what was Ruthenization. Western Belarus was sovietised, tens of thousands were imprisoned, deported, murdered. The victims were mostly Polish and Jewish. After twenty months of Soviet rule, Nazi Germany and its Axis allies invaded the Soviet Union on 22 June 1941. Soviet authorities immediately evacuated about 20% of the population of Belarus, killed thousands of prisoners and destroyed all the food supplies. The country suffered particularly heavily during the fighting and the German occupation. Minsk was captured by the Germans on 28 June 1941. 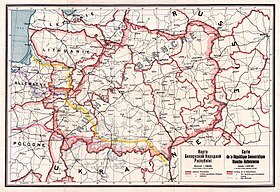 Following bloody encirclement battles, all of the present-day Belarus territory was occupied by the Germans by the end of August 1941. Since the early days of the occupation, a powerful and increasingly well-coordinated Belarusian resistance movement emerged. Hiding in the woods and swamps, the partisans inflicted heavy damage to German supply lines and communications, disrupting railway tracks, bridges, telegraph wires, attacking supply depots, fuel dumps and transports and ambushing German soldiers. Not all anti-German partisans were pro-Soviet. In the largest partisan sabotage action of the entire Second World War, the so-called Asipovichy diversion of 30 July 1943 four German trains with supplies and Tiger tanks were destroyed. To fight partisan activity, the Germans had to withdraw considerable forces behind their front line. On 22 June 1944 the huge Soviet offensive Operation Bagration was launched, Minsk was re-captured on 3 July 1944, and all of Belarus was regained by the end of August. Hundred thousand of Poles were expelled after 1944. As part of the Nazis' effort to combat the enormous Belarusian resistance during World War II, special units of local collaborationists were trained by the SS's Otto Skorzeny to infiltrate the Soviet rear. In 1944 thirty Belarusians (known as Čorny Kot (Black Cat) and personally led by Michał Vituška) were airdropped by the Luftwaffe behind the lines of the Red Army, which had already liberated Belarus during Operation Bagration. They experienced some initial success due to disorganization in the rear of the Red Army, and some other German-trained Belarusian nationalist units also slipped through the Białowieża Forest in 1945. The NKVD, however, had already infiltrated these units. Vituška himself was hunted down, captured and executed, although he continued to live on in Belarusian nationalist hagiography. More than 200 000 Poles left or were expelled to Poland, some killed by the NKVD or deported to Siberia. Armia Krajowa and post-AK resistance was the strongest in the Hrodna, Vaŭkavysk, Lida and Ščučyn regions. In 1994, the first presidential elections were held and Alexander Lukashenko was elected president of Belarus. The 1996 referendum resulted in the amendment of the constitution that took key powers off the parliament. In 1999 opposition leaders Yury Zacharanka and Viktar Hanchar disappeared and were presumably killed. In 2001, Lukashenko was re-elected as president in elections described as undemocratic by Western observers. At the same time the west began criticising him of authoritarianism. In 2006, Lukashenko was once again re-elected in presidential elections which were again criticised as flawed by most European Union countries. In 2010, Lukashenko was re-elected once again in presidential elections, which were described as flawed by most EU countries and institutions. A peaceful protest against the electoral fraud was attacked by riot police and by armed men dressed in black. After that, up to 700 opposition activists, including 7 presidential candidates, were arrested by KGB. ^ Björn Wiemer. "Dialect and language contacts on the territory of the Grand Duchy of Lithuania from the 15th century until 1939". Aspects of Multilingualism in European Language History. Edited by Kurt Braunmüller and Gisell Ferraresi. John Benjamins Publishing. 2003. pp. 110–111. ^ (in Russian) Церковная уния 1596 г. (Tserkovnaya uniya 1596 g.) in "belarus.by portal"
^ S., John. "History of Belarus was formed probably on the basis of the three Slavic tribes". John Learn. Retrieved 8 February 2018. ^ a b Żytko, Anatol (1999) Russian policy towards the Belarussian gentry in 1861–1914, Minsk, p. 551. ^ a b Janowicz, Sokrat (1999). Forming of the Belarussian nation. RYTM. pp. 247–248. ^ Franziska Exeler, "What Did You Do during the War?" Kritika: Explorations in Russian & Eurasian History (Fall 2016) 17#4 pp 805-835 examines behaviour World War II in Belarus under the Germans, using oral history, letters of complaint, memoirs and secret police and party reports. ^ Strużyńska, Anti-Soviet conspiracy..., pp859–860. ^ Alexander Perry Biddiscombe (2006). The SS Hunter Battalions: The Hidden History of the Nazi Resistance Movement 1944-45. Tempus. p. 66/67. ISBN 0752439383. ^ "United Nations". U.S. Department of State. Archived from the original on 3 March 2003. Retrieved 22 September 2014. Voting procedures and the veto power of permanent members of the Security Council were finalized at the Yalta Conference in 1945 when Roosevelt and Stalin agreed that the veto would not prevent discussions by the Security Council. Roosevelt agreed to General Assembly membership for Ukraine and Byelorussia while reserving the right, which was never exercised, to seek two more votes for the United States. Grodno/Hrodna Region is one of the regions of Belarus. It is located in the northwestern part of the country. Podlachia or Podlasie, is a historical region in the eastern part of Poland. Between 1513 and 1795 it was a voivodeship with the capital in Drohiczyn. Now the part north of the Bug River is included in the modern Podlaskie Voivodeship with the capital in Białystok. The Pahonia is the historical coat of arms of the Grand Duchy of Lithuania, a variation of which is being used as a current coat of arms of Lithuania. 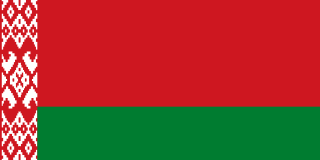 It has also been the official emblem of Belarusian Democratic Republic in 1918 and of the Republic of Belarus from 1991 to 1995. The Union of Lublin was signed on 1 July 1569, in Lublin, Poland, and created a single state, the Polish–Lithuanian Commonwealth. 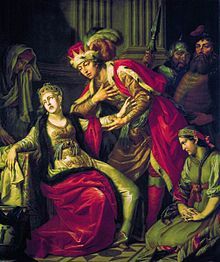 It replaced the personal union of the Crown of the Kingdom of Poland and the Grand Duchy of Lithuania with a real union and an elective monarchy, since Sigismund II Augustus, the last of the Jagiellons, remained childless after three marriages. In addition, the autonomy of Royal Prussia was largely abandoned. The Duchy of Livonia, tied to Lithuania in real union since the Union of Grodno (1566), became a Polish–Lithuanian condominium. Belarusian Gothic is the architectural style of ecclesiastical buildings constructed during the 15th and 16th centuries in parts of modern-day Belarus, Lithuania and eastern Poland. Although these buildings have features typical of Gothic architecture such as lofty towers, flying buttresses, pointed arches and vaulted ceilings, they also contain elements not typically considered Gothic by Central and Western European standards.